This unique gulf front Duplex in Crystal Beach with 60' of premium gulf frontage is a rare opportunity to own an authentic, Old Florida property that has been lovingly maintained by its owners for more than two generations. This two-story property is designed around an open living space with fully equipped kitchen and floor-to-ceiling windows that invite stunning views inside or out on the private screened porch. The upstairs loft includes a king bed & full bath with tub, and downstairs bunk room has twin beds and full bath with shower. Both units are identical. 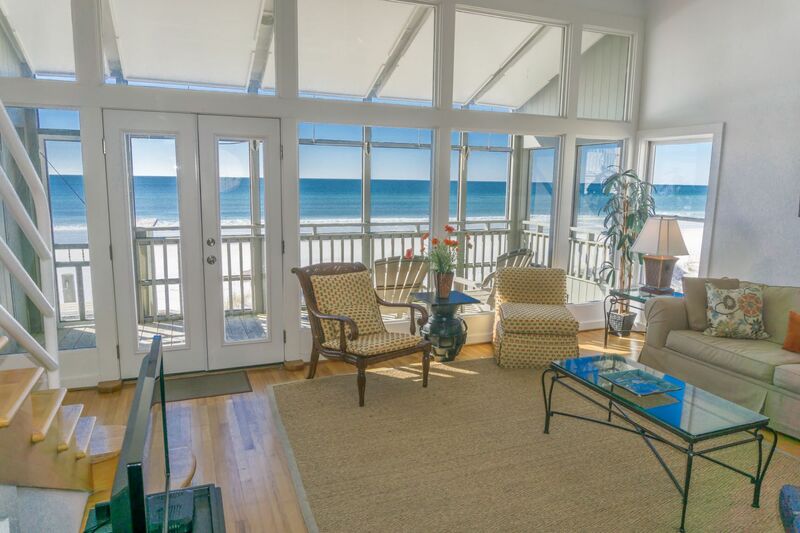 Other highlights include ample exterior parking, secure storage for beach equipment and outdoor shower. Great for vacation rentals, generated more than $170,000 in rental income 2018 with many owner stays. No association fees. Crystal Beach was voted one of the top 10 beaches in the world and is located minutes away from world-class fishing, shopping, golf courses and fine dining.